Summer is for sunshine, fun, and good music....and all three are on full display in this cover by Cape Harmony. For those of you who are new to the world of summer a cappella groups, Cape Harmony is a great introduction. 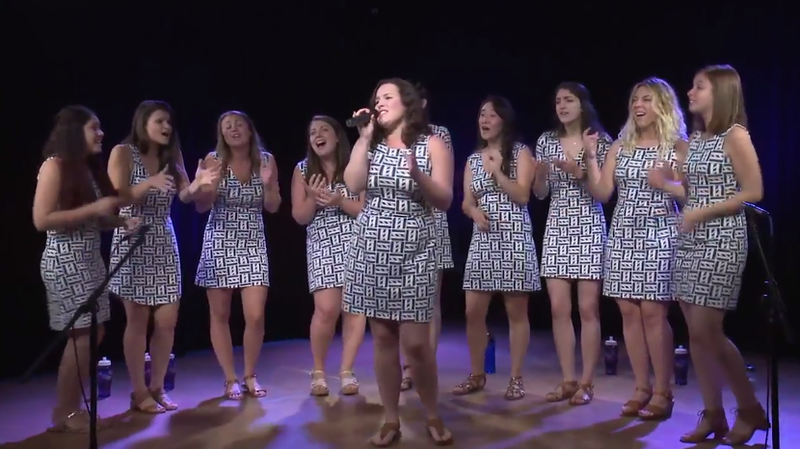 The group is made of talented female singers from various collegiate a cappella groups around the country. The group convenes each summer to bring beautiful harmonies and all-around great vocals to the Cape Cod area. And this performance really shows off how amazing a vocal group composed of some of the best collegiate singers from around the country truly is. Cape Harmony presents a stylish and fun-filled rendition of the popular Katrina & The Waves' "Walking On Sunshine" that's perfect for any summer day. Enjoy this infectious and hip cover and be sure to go follow Cape Harmony for more worthwhile vocals.